Kindle Singles will have their own section in the Kindle Store and Amazon says they will “be priced much less than a typical book.” But they do not elaborate on the expected price range of Kindle Singles. 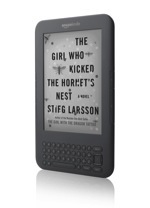 What do you think about Kindle Singles? What do you think the price range will be for these short works?